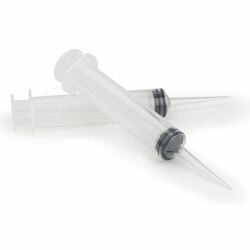 Reusable syringes can be loaded with epoxy mixture for injecting into tight spots. Ideal for hardware bonding and plywood repairs. Each syringe holds about 0.5 fl. oz.